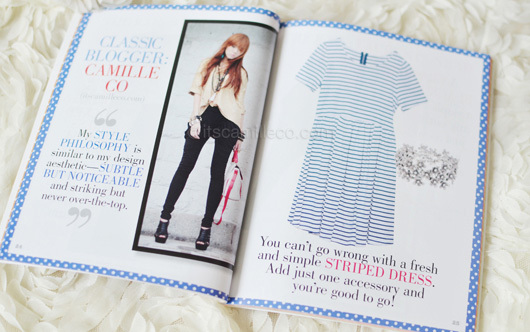 Just some of my magazine features published during the last months of 2011. It truly was a great year! 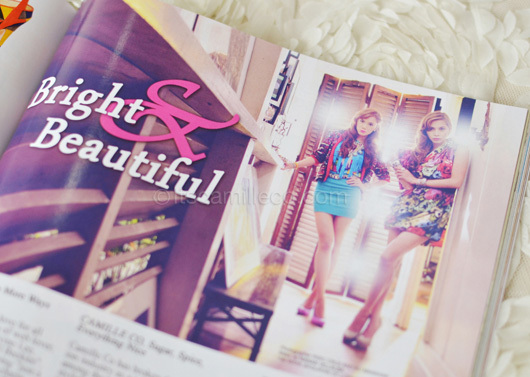 I hope you were able to get yourself a copy of Candy’s special Style Guide featuring my fellow fashion bloggers and I. The note Sam (Candy’s fashion editor) wrote at the beginning was really nice. It goes something like how the Style Guide is not about teaching you how or what you should wear but more of a guide to helping you discover your style. The Style Guide categorized all the bloggers under specific styles. I’m under classic, together with Rosanna Aranaz. This is a short feature on me as seen on Maven Magazine’s November issue. I really like this interview! I was given a series of phrases and was asked to complete them. I hope you got to read this! 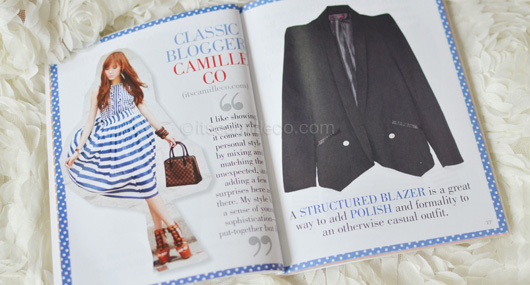 A little birdie told me I appeared thrice in Cosmopolitan Magazine’s November issue. Thank you Cosmo! This is the first one, with Laureen and I urging people to go to the Supersale Bazaar where we were given our own booths to sell our preloved items. 2nd was for the Century Tuna campaign. That’s me and my lucky winner Katherine! She won this giveaway. 3rd was for Nikon. Here I am with my co-Nikon brand ambassador, Divine Lee. Browse through my archives to see some BTS photos of Divine and I from this shoot! I’m sure you’ve already seen this outfit. This was taken on the same day as this and this. I’m so flattered to be chosen for Samsung Galaxy Y’s 2-page advertorial seen on Chalk Magazine’s December issue. It’s the new it phone for youngsters on the go–affordable smartphone that’s really worth your money! Does my photo look familiar? This is the shoot I was talking about here. 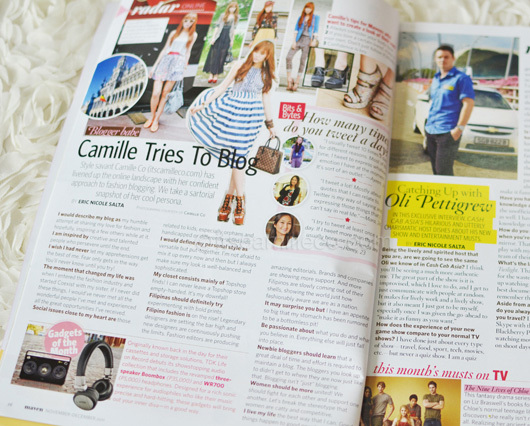 Thank you Sense & Style for including me in this feature! This 2012, I hope the blessings continue!